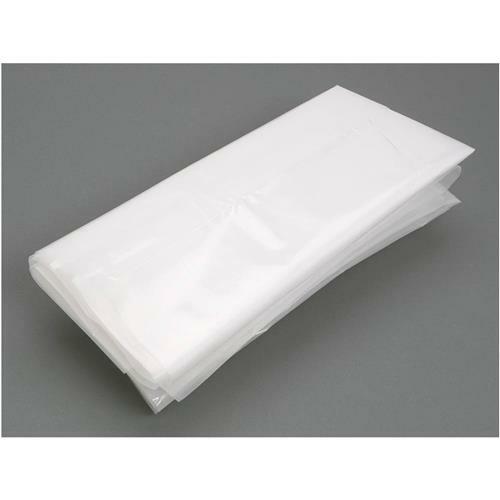 These 6-mil Plastic Lower Bags are replacement bags for our G5954, G0671, G0672, and G0673 dust collectors. They are approximately 23-5/8" in diameter and 68" long. nice very heavy duty, inexpensive, collection bags for my shop vac. This is a quality item but the overall length of 68 inches is too long and drags on the floor. Needed to cut/shorten to the needed 54 inches length. Not a major issue. Good to have more than not enough. I have the two bag 5HP Grizzly dust collector unit. The product came in a timely manner and was exact as I ordered. We have had great luck with these bags, they are thick and sturdy. They had just what I needed and shipped it in a timely manner. I am very happy with all of my Grizzly purchases. Waiting on the jointer I ordered a month ago.